You are taking the term “adhesive contract” way too literally. The word “adhesive” is supposed to be metaphorical when describing contracts. 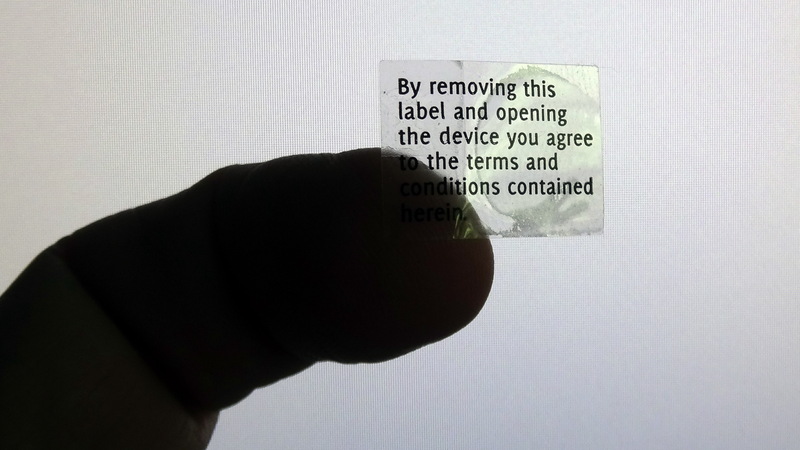 It’s worth noting that “the instructions contained herein” are not accessible without removing the label and opening the device. I dunno. Made me feel better.